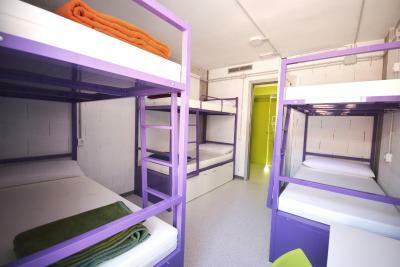 Lock in a great price for Scout Madrid Hostel – rated 8 by recent guests! Staff very helpful and friendly. Early breakfast is possible, upon request. Kitchen open all the time. Two, working public computers. Super clean, staff are very helpful and cheerful. Very good value to money. Wifi is good, the hostel has daily housekeeping. The building seems to be pretty new and is just a few minutes from a metro station. They have luggage room which is always nice! A reasonably complete breakfast was provided with madeleine cakes, orange juice, water, coffee, cereal, toast, butter and peach jam. The start and end times for breakfast were not strictly enforced. Reception and cleaning staff were friendly and helpful. 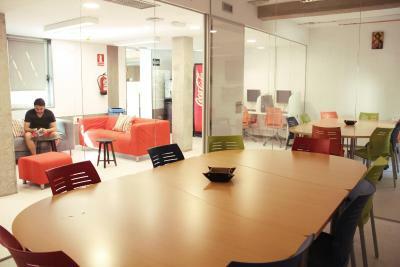 The location was nice and quiet, away from the city centre but close to a Metro stop. 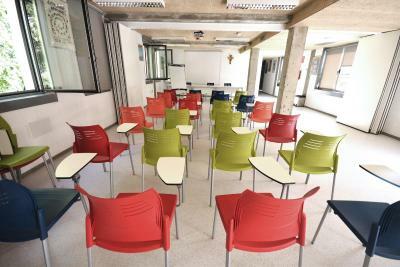 The facilities were new as the hostel only opened 3 years before my stay. The kitchen was well equipped and easy to use. 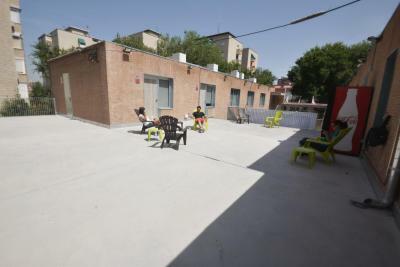 Quiet hostel, there were no parties or shouting at night. Staff was helpful and they let me leave my baggage in the hostel after check out. Quite good location, bus stop in front of the hostel and not far from metro station Vinateros either. Comfortable rooms, very good wifi and luggage store in the bedrooms. 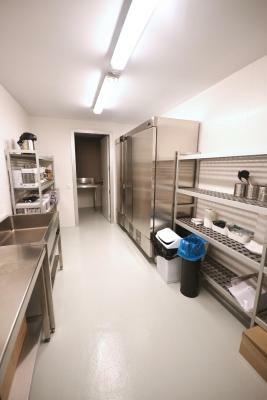 Well equiped and clean kitchen and comfortable common areas. There are drinks and snacks machines that saved my life in the late hour I arrived at the hostel, since there were no restaurants or stores open after 1 am. The breakfast included was fair and it's a positive point as well. Really a awesome place. Very kind peoples. Nice breakfast. Worthy. 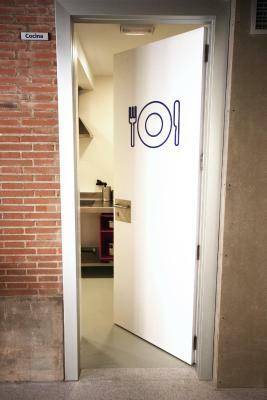 Breakfast was included in the price, low price for Madrid, welcoming staff. Very good breakfast. Two computers. 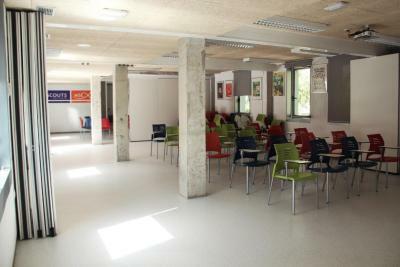 Room of conferences. 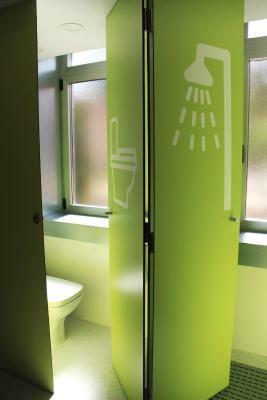 A bathroom for each room, very nice and clean. A large courtyard, facilities. Very good cappuccino. Very close to the metro. It is very useful that they have nonstop reception and cameras. I felt very safe. No noise. 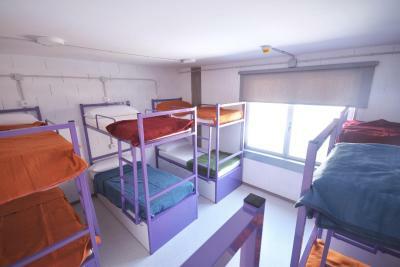 Featuring free WiFi, Scout Madrid Hostel offers accommodations in Madrid. 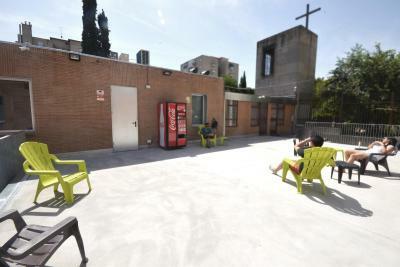 The hostel has a communal terrace, shared TV room and a conference center for up to 140 guests. 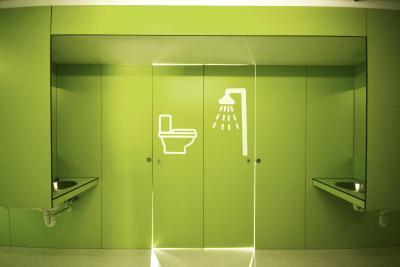 Rooms come with a shared bathroom, air conditioning, lockers, and a light and wall-plug for every bed. 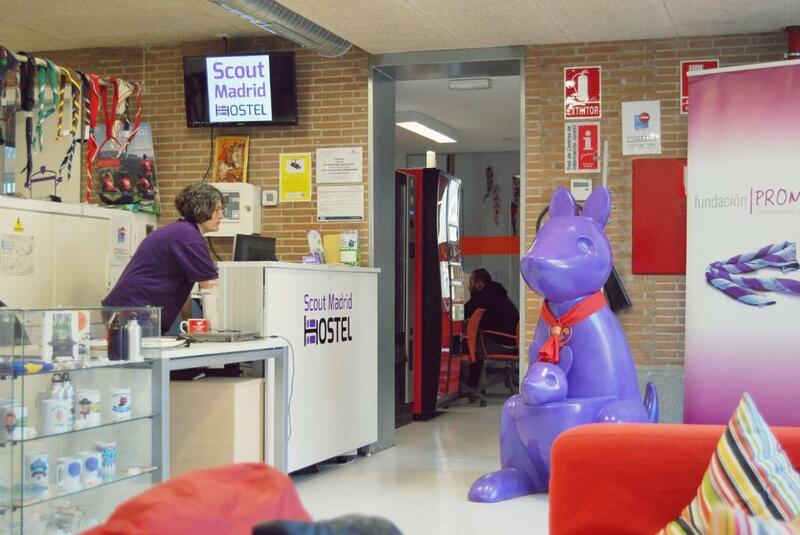 Scout Madrid Hostel has a shared kitchen where guests can prepare meals. 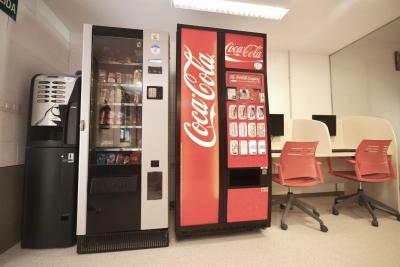 A buffet breakfast is served in the dining room, and vending machines are provided. Staff at the 24-hour front desk can provide tourist information. 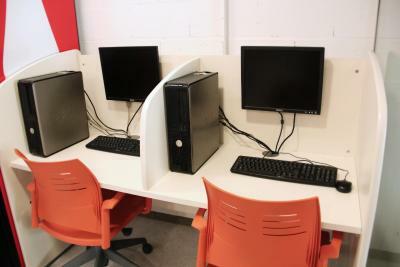 Guests have access to free computers. 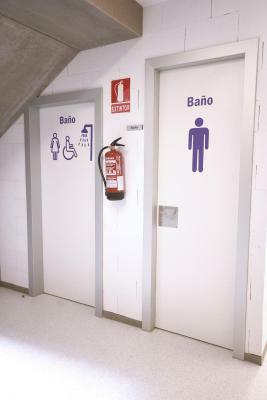 You can reach Madrid City Center in 20 minutes by bus or metro. Retiro Park is 1.2 mi away. 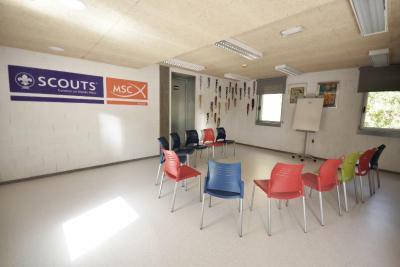 The nearest airport is Adolfo Suarez Madrid-Barajas Airport, 6.8 mi from Scout Madrid Hostel. Moratalaz is a great choice for travelers interested in parks, architecture and monuments. When would you like to stay at Scout Madrid Hostel? 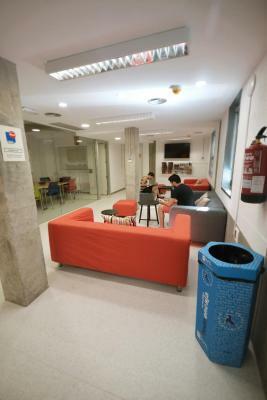 House Rules Scout Madrid Hostel takes special requests – add in the next step! 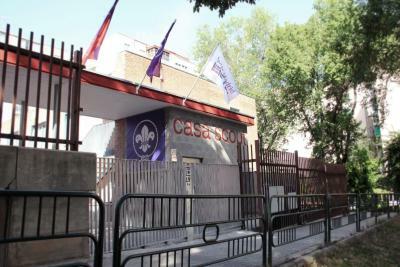 Scout Madrid Hostel accepts these cards and reserves the right to temporarily hold an amount prior to arrival. 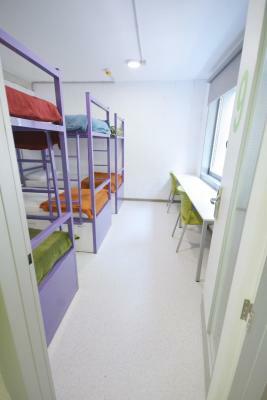 Children 16 years or younger cannot be accommodated in dormitory rooms. The 12 unit mixed dorm was too small and the shower was not good. Breakfast and staff all the time. Far from city center and I didn’t like bed blanket. It is not confortable and itching. 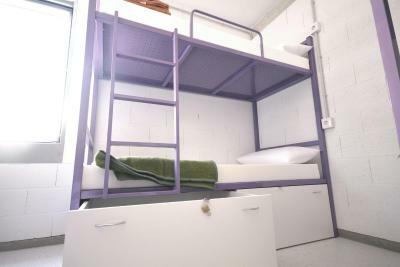 The hostel is located far from the city center. 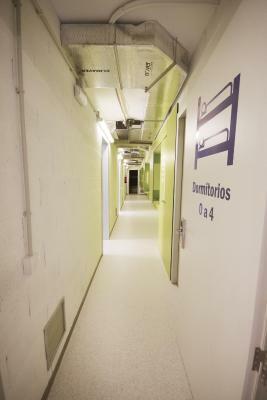 One of the rooms on the second floor was too noisy so that it was difficult to fall asleep until 1 am. Quite far from the city center. Push-button showers are hard to use. Blanket did not look very clean. I was not so sure if they washed it. Would have been nice if blanket had a cover. Very friendly staff. I asked for an extra blanket since it was getting a bit chilly and they provided it. Wifi was only on the common areas. Bed bunks lockers only works with big padlocks, so beware. the location, as seen on the map, is far from the city center, so you have to take a bus or metro to move to/from the hotel. bathrooms were clean, staff was good, breakfast ok! staff helped us greatly to move around the city. The location of the place is a bit far from the center. 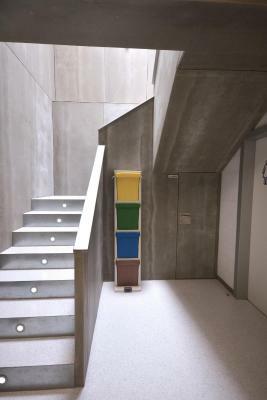 The place is good, spacious, and clean. Overall, it was a good stay. The breakfast was not that good, very little variety. A bit fare from the metro station. Although breakfast is for free, which I found really cool, I found the quality was really poor. 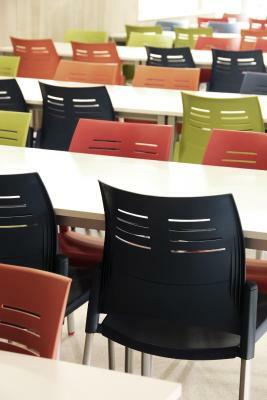 Friendly staff, good position, beds were OK and in general it was clean and comfortable. I would have liked to have curtains around the bed to lock myslef in when sleeping. Had a couple sharing a bed in the same room, and e was constantly coughing out in the room - that's not pleasant.